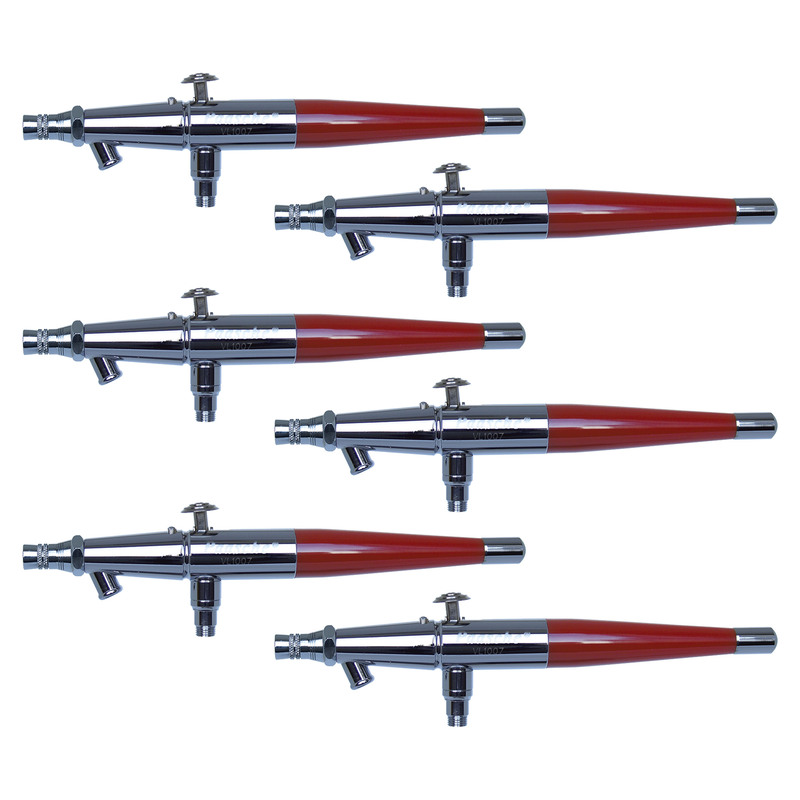 VL Double Action - Internal Mix - Siphon Feed Airbrush: The VL series is our most popular Airbrush due to its durability and ability to spray most material whether thick or thin. 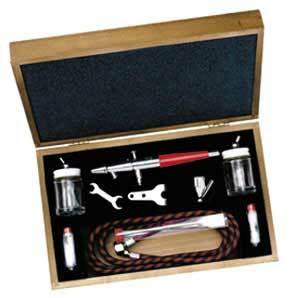 The stainless steel needle and nickel silver tip handle water based or solvent based mediums. 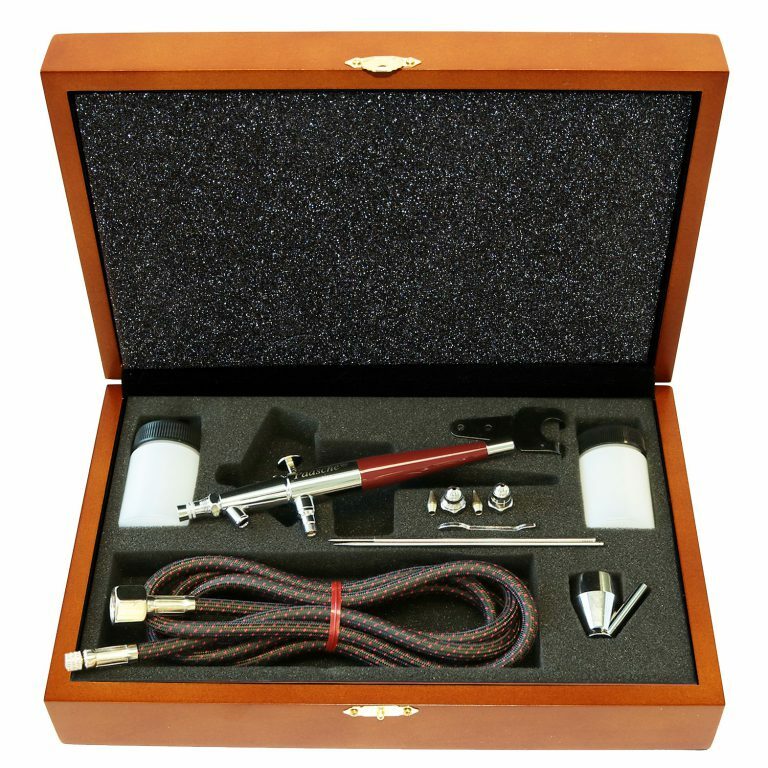 The VL airbrush offers versatility with three interchangeable head sizes. This model can achieve spray patterns from fine detail to broader coverage handling light, medium and heavy fluids. The rounded head allows for easy removal of any dried paint with just a pinch of your fingers. 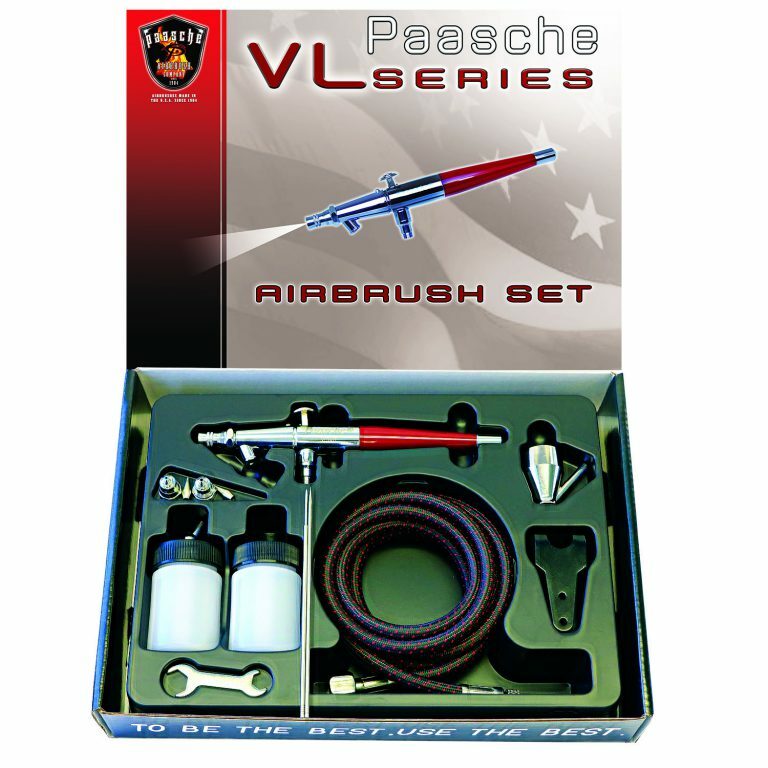 Size 5 (1.05mm) - 1/16" to 1-1/2"
Paasche offers the classic VL Airbrush in a boxed set. VLS Double Action - Internal Mix - Siphon Feed Airbrush: The VLS double action airbrush features a unique threaded bottle fitting for the most secure paint bottle connection. 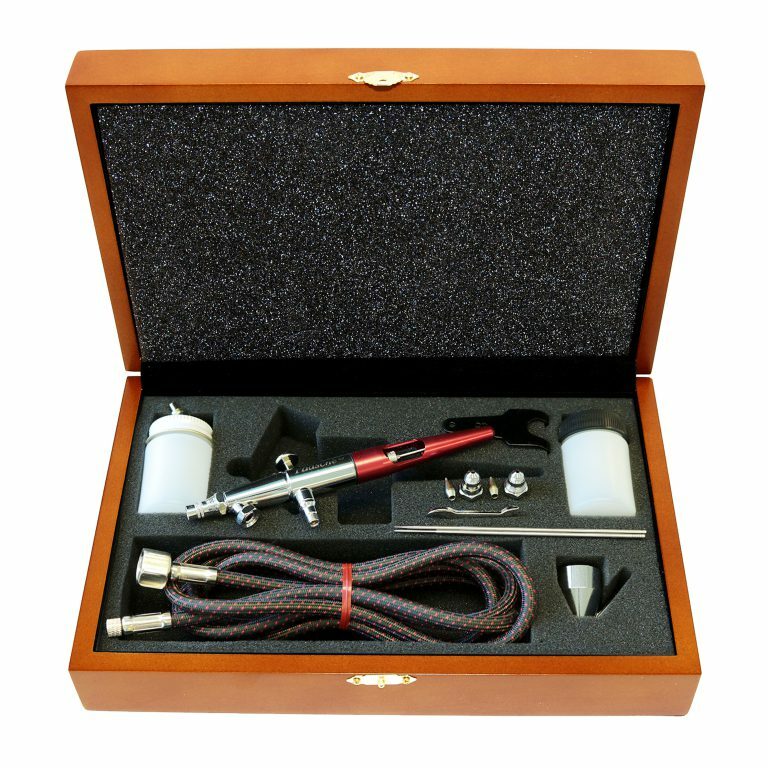 Included with the airbrush are all three available spray heads, which allow the VLS to be used for most any application. Spray patterns range from 1/32 inch to wider patterns up to 1-1/2 inches. A PTFE packing enables the VLS to handle any water or solvent based paint. The roller in front of the trigger allows the VLS to be used as a single action airbrush for those desiring simpler control. Clean up is as simple as spraying your paint cleaner though the airbrush and wiping of the needle. The VLS can be used for many applications including hobby, craft, automotive, t-shirts, taxidermy, ceramics, cake decorating, tanning, tattoos, etc. 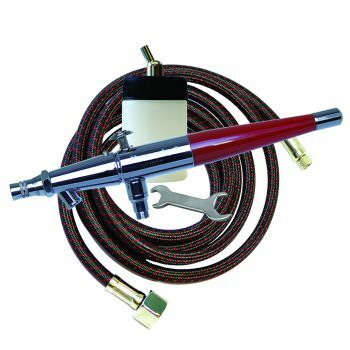 Spray Pattern 1/32" to 1-1/2"
VLST-3W Double Action - Internal Mix - Siphon Feed Airbrush: The VLS series is one of our most popular Airbrush due to its durability and ability to spray most material whether thick or thin. It has the added feature of a threaded connection which allows the bottle to lock onto the airbrush for a more secure fit. The stainless steel needle and nickel silver tip handle water based or solvent based mediums. 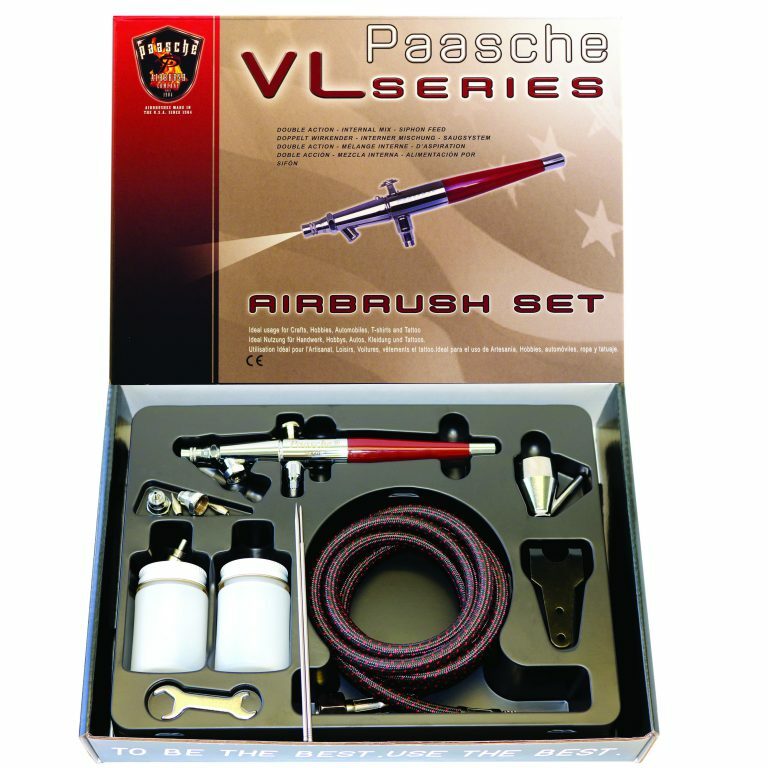 The VLS airbrush offers versatility with three interchangeable head sizes. This model can achieve spray patterns from fine detail to broader coverage handling light, medium and heavy fluids. The rounded head allows for easy removal of any dried paint with just a pinch of your fingers. With all the modifications we learned from the professional artists that use the VL, we created the ultimate Painting machine! The VLSTPRO is a significant upgrade to the classic VL with features that Airbrushes of all levels will appreciate.